I can’t wait to get my hands on this silky, frilly, and oh-so-beautiful pajama set. It is perfection. And no, you can never have too many sets of pajamas. Especially if they are Natori pajamas. All of a sudden, I am completely feeling the millennial pink phenomenon and want everything and anything in blush pink. It is subtle, feminine, pretty, and plain old FUN. 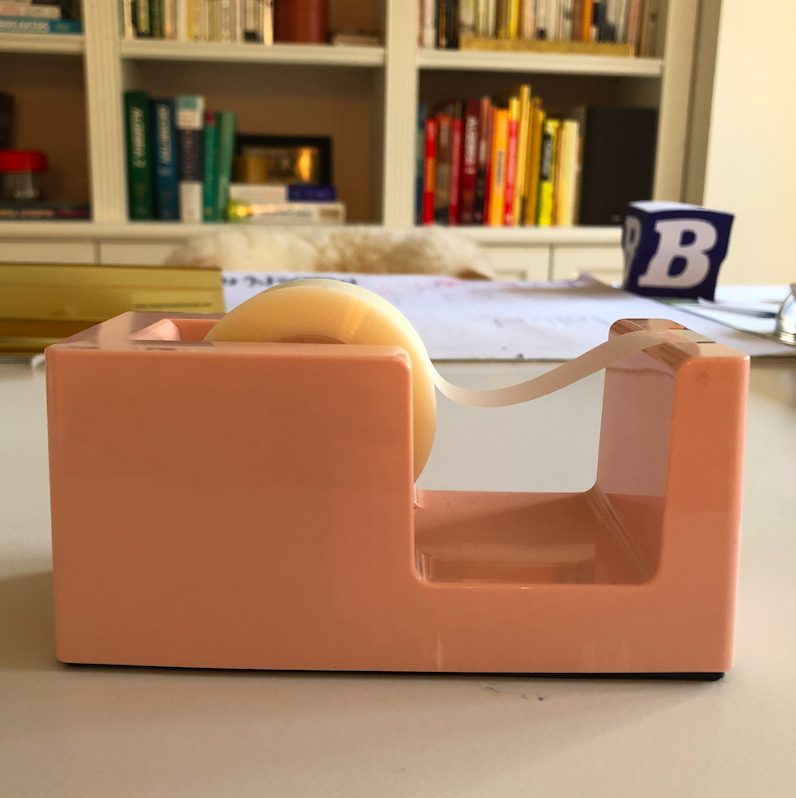 So when at the Container Store recently stocking up on bins for my daughter’s markers, I saw this tape dispenser and absolutely had to buy it. How could I not? Blush. I not only love the color, but I love the word “blush.” Doesn’t it describe so much in five little letters? The other day while at lunch with friends, I noticed that I had a new friend seated next to me… Ganesh. It was at that moment that I decided that I was going to start collecting Ganeshes. Not sure where I will put them, but I do feel that they need to be a part of my life going forward. 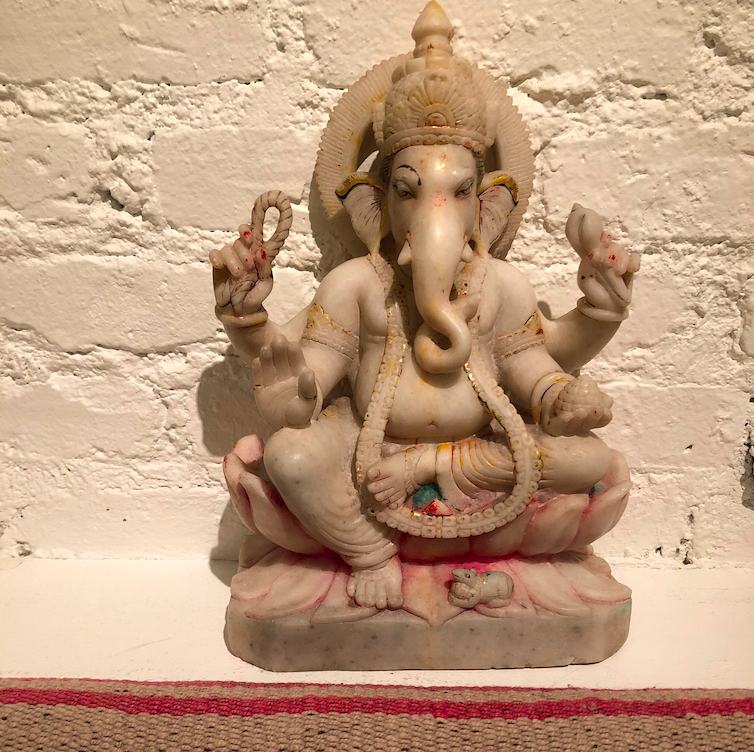 I am specifically in love with this Ganesh statue. How beautiful? In the entry way? Last weekend, I celebrated my birthday with one of my best friends, whose birthday is the day after mine. 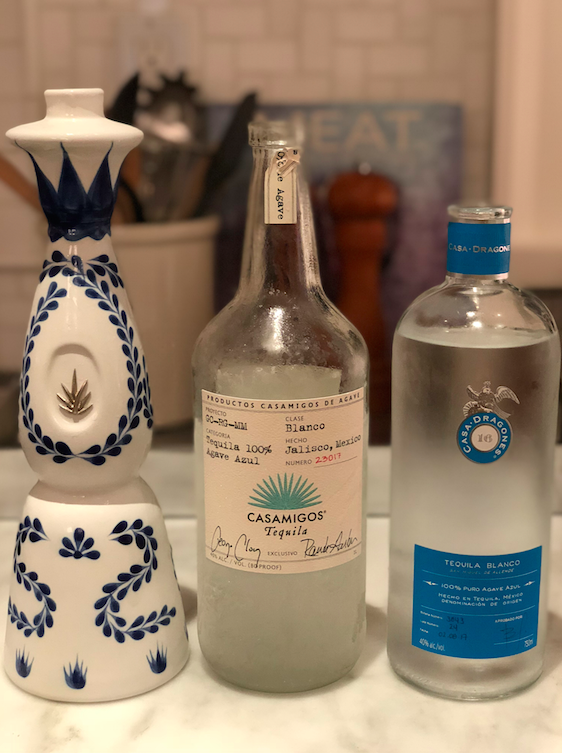 The couple knows my love of tequila, so we had a bug tequila taste test. Although I am partial to Casa Dragones, I was introduced to Clase Azul and instantly fell in love. It is a sweet and smooth drinking tequila in a beautiful bottle. So it makes a great present (and a great drink). I love our playroom, which is also supposed to be the homework room for the kids. 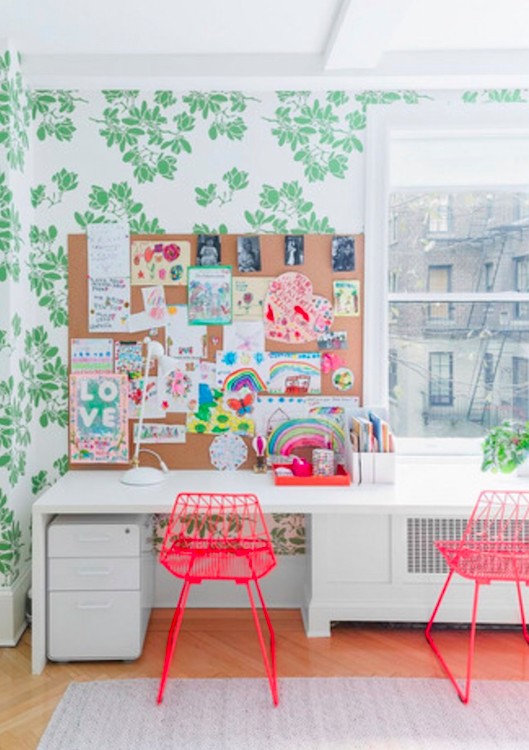 Although they do draw and play a lot in the playroom, the desk is not used for homework and is never clean (even though I am OCD and like everything put away at all times). So when I do see a clean desk, I breathe a sign of RELIEF and HAPPINESS. CLEAN DESK = HAPPINESS. Clean desk with messy bulletin board. So that is what I am loving this month. Do share with me what you are enjoying and smitten over. Have a great weekend! was feeling a bit stressed out and opened yr latest blog …and it was like a breath of fresh air…from the lovin of blush the word & the dispenser to the whole wanting of ganeshes in yr life…and saw the desks & thght of yr two lil cuties & thght gosh they’re getting so big -before long they will be doing homework at those desks…but the candle on the cake was seeing the tequila…smiled and thght yep, she’s my kinda gal! & wished i had some in house – will have to top up and try clase azul…sometimes soon! Thanks & Happy Belated B-Day!